TV viewers in southern California got quite the shock over the weekend after doomsday messages suggesting the world was about to end starting appearing on their TV screens. According to reports on The Orange Country Register, regular viewing of the cable channel HGTV was disrupted by a sinister man’s voice booming: “Realise this, extremely violent times will come” and that world would end on September 23. 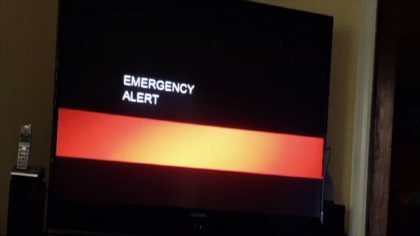 The ominous message was in fact due to a glitch at local Christian radio station, KWVE-FM, who were apparently testing its holocaust scenario messaging (as any good Christian radio station should) and it was picked-up by the cable network’s transmission.